· Thanjavur (Tanjore) plates, bowls, napkin rings, jewel boxes. These are made of copper and brass. The motifs are from Hindu mythology, or you could order your own design as well. They are encrusted in silver. · Statues or small idols of Ganesh, and Laxmi. · A set of diyas. You get all kinds of diyas from pottery to ceramic and most gorgeously painted and embellished. · Candles in hand-crafted candle holders. Aroma candles are also available in all shapes, sizes and aromas. · Silver coins engraved with Ganesh and Laxmi. · Dry fruit box. These are available as readymade gift items. Alternately you can order the kinds of dry fruits you would like included. The container could be made of wicker or beaten silver/foil. · Magnets or magnet frames with pictures of the bride and groom. · Silk shawls and stoles. These are available in a large variety, and great range of price and colour. Should you decide on this, then you can have different kinds for different sets of guests. · Cotton stoles in different colours with a thin border of zari can be considered. Handloom weaves are gorgeous and are available in different colours, designs and lengths. Use your creativity to make favours with them. · Chocolates in personalized wrappers with the wedding monogram or the initials of the bride and the groom. A specially designed hamper containing lots of different stuff. · Every State in India is known for its own indigenous craft. Giving something traditional and indigenous to the place of the wedding would be special. · All these gifts would have either an engraving of your initials or a card with your photographs on it. If possible, small cards made with handmade paper can be affixed with the names of the person you are giving the gift to. 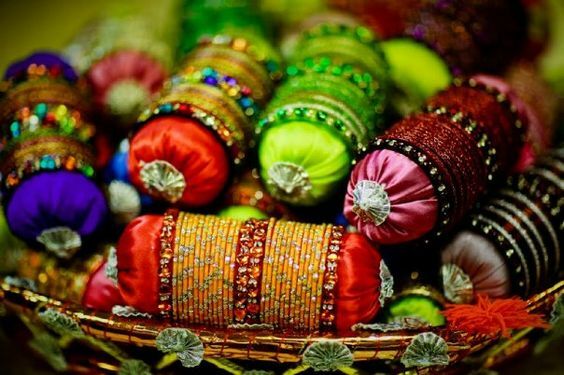 · Shagun or favours can be ordered, or bought online too from stores which specialize in them. However, for a traditional wedding, it is the members of the family who personally look into this. Remember this is a personal acknowledgement of the guest/relative/close friend. Consequently a lot of thought has to go into it. Anything done in a hurry or in a slipshod manner is only going to create an inauspicious vibe towards the bride and groom. It is always a good idea to gift the favors to the outstation guests a few hours before the wedding. This is so because many guests schedule their departure within hours after the wedding or the reception is concluded.